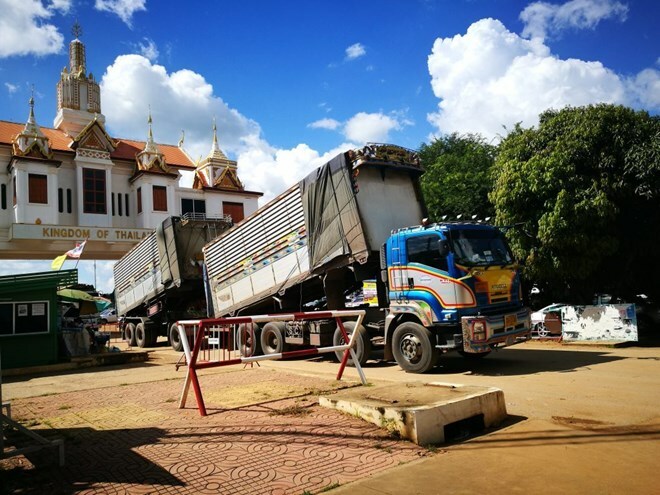 Bangkok (NNT/VNA) - Cross-border trade and tourism are being promoted at Baan Khao Din border checkpoint in Sa Kaeo province, eastern Thailand, which has been upgraded to permanent status. The Department of Foreign Trade, under the Ministry of Commerce, has confirmed that Baan Khao Din border checkpoint in Khlong Hat district of Sa Kaeo province, which is about 197 kilometres from Siem Reap province of Cambodia, has been upgraded to a permanent one from where it takes only about three hours to transport goods to Siem Reap and Phnom Penh. Cross-border tourism between Thailand and Cambodia can be promoted on such a route with a combined five million tourists crossing from both sides of the border each a year.